An attractive light straw yellow with tenuous light green reflections. A bouquet that is decidedly aromatic, revealing floral aromas, reminiscences of fruit and ripe yellow pulp and hints of nutmeg. The first sip reveals a full-bodied wine which is balanced and persistent on the palate. An ideal accompaniment to spicy recipes and oriental food, it should be tried with stone bass cooked in curry sauce. The wines of the Terroir Selection comes from the best production areas and express all their individual characteristics. As the name suggests, each wine is distinctive for its specific terroir which, in addition to position, altitude and exposure of the vineyards, also includes the micro-climate and geology of the land. Over the years the Alois Lageder estate has identified single vineyards and the best plots of each zone of origin, unique places capable of conveying their own personality clearly through the wine. 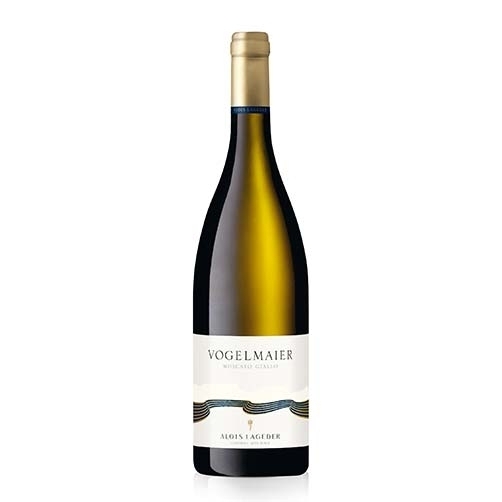 The Moscato Giallo Vogelmaier, made from grapes grown in the vicinity of Lago di Caldaro, is a white wine left on the lees for about six months. Aromatic and typical in the bouquet and on the palate, it slips down easily and is highly drinkable.